The bones of the instrument are from a World Wide Trading Company pink toy uke that I got at a flea market in Kingman, AZ over Christmas of 2014 for something like $5. The strings were shot, the paint was hideous, and the fret board and saddle were misaligned. It sounded terrible and looked worse. Even though I knew I probably would not touch it again for a while, I immediately sanded off all of the paint so that I could at least bear to look at it. I didn’t take a picture of it because I did not want to preserve the memory of that monstrosity, but this wasn’t just a pink ukulele. It was neon pink, radio active Pepto-Bismol pink. The manufacturer slapped a flower decal on it as well, as if to say, “I am totally authentic and Hawaiian, and, since I am pink, I am clearly a great gift for you to bring back for your niece/granddaughter/daughter/nanny.” I had to set whatever wood was underneath free. 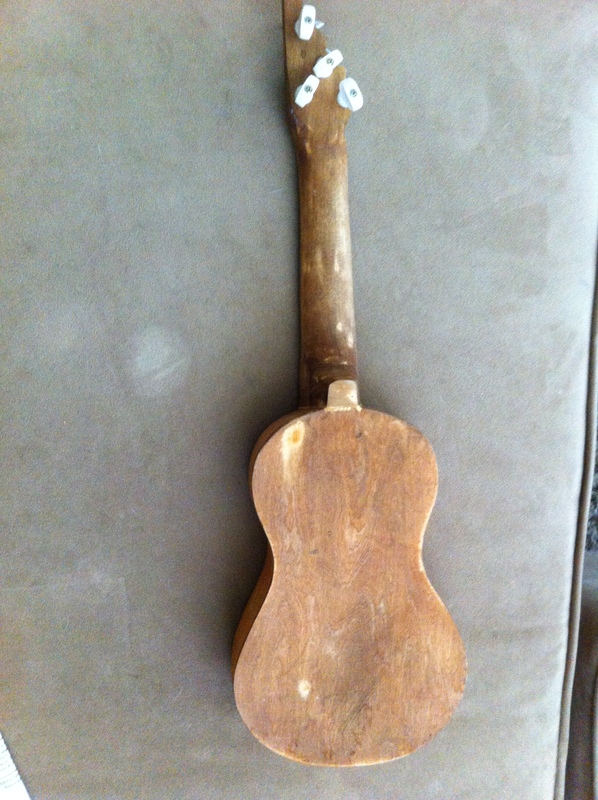 The uke was noticeably smaller with all the paint off, but I was happy to find real wood there. 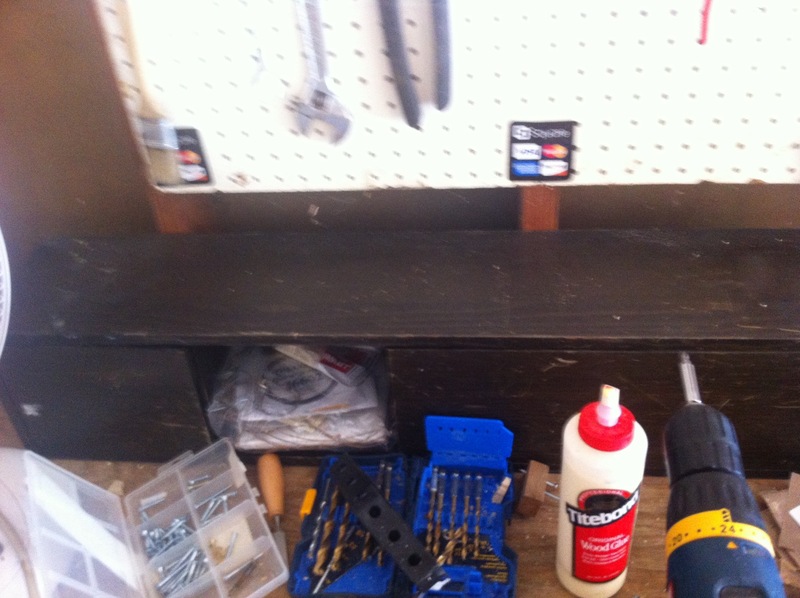 Since then, I have taken the fret board off, resized it and reset it to play in tune. 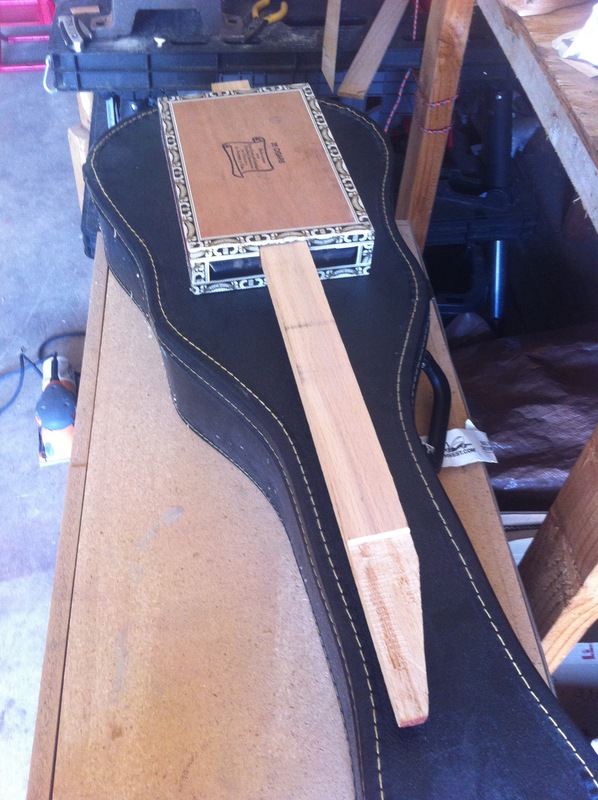 I also replaced the nut, saddle, and bridge (the originals were used on a Macanudo uke I built last summer). As with all of my instruments, I stained it with my all-natural and homemade stain (made from vinegar and steel wool), and I redesigned the headstock with the 4ist Guitars tree logo. I will be using that design (or a similar one) on a lot of my future guitars. I am pretty happy with the result, and I think whoever ends up with it will be able to get some solid mileage out of it. Here is a short video of it in action. I can’t say it is for sure, but this guitar really feels like it could be my signature instrument. Fully fretted through the first octave and then dulcimer fretting for the upper octave. Tree headstock and sound holes. 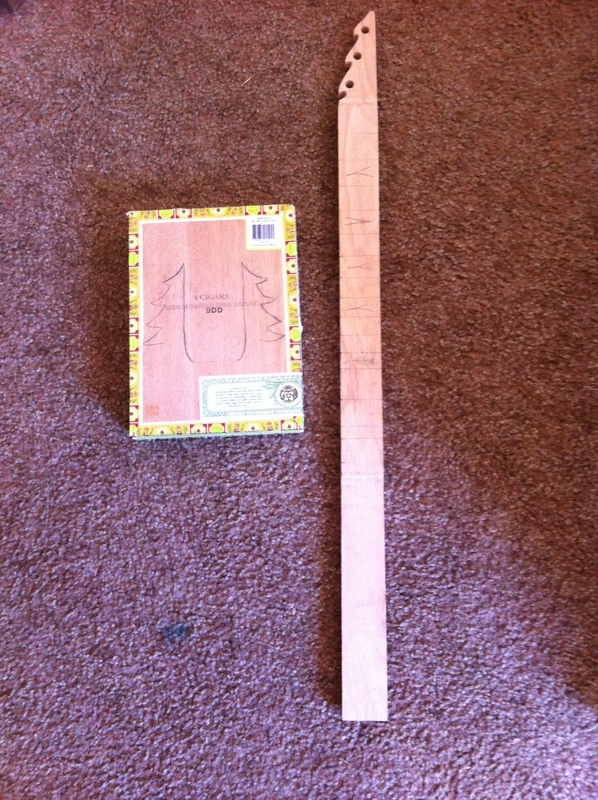 When I saw this plank in an Idaho thrift store, I new that it needed to be a guitar. 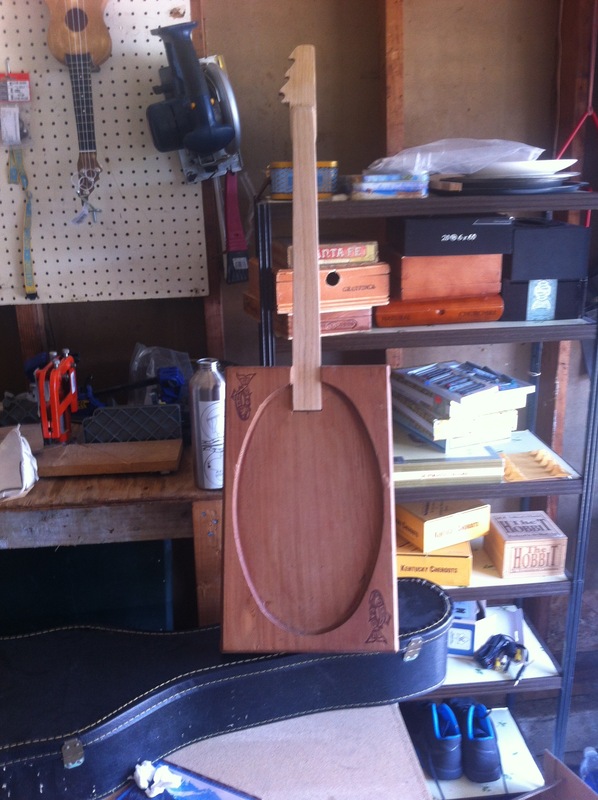 I began working on the neck in the kitchen of our Pocatello home, the headstock is a pocket joint and I am anxious to string it up to test its strength. I am still working out what sort of pickup I want to use as well as what tuning machines. The psalmodicon is an old Swedish folk instrument, made so that churches in remote places with small congregations would have something to sing along with, even if no one there could play. The dulcimer is likely a dependent of the psamodicon, and since my family is Swedish, I feel like I need to make one of these. Making the bow will be particularly fun on this one. See more about the psalmodicon here.